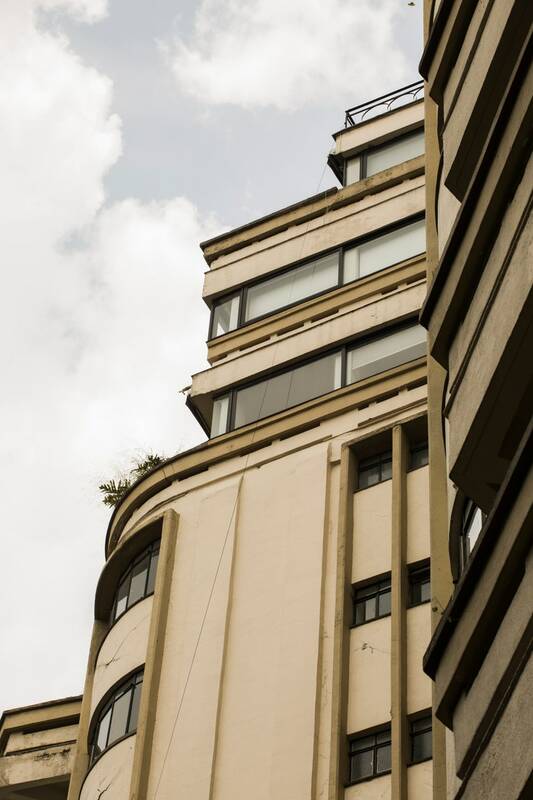 The El Moro building, one of Mexico City’s Art Deco treasures, suffered significant damage during last year’s earthquake; the upper floors swayed several feet during the tremors. One year ago—September 19, 2017—a massive earthquake rattled Mexico City, toppling dozens of buildings and damaging thousands more. 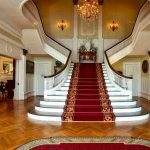 The neighborhoods of Condesa and La Roma, home to some of the most excellent examples of Art Deco architecture arguably anywhere in the world, were hit hardest. 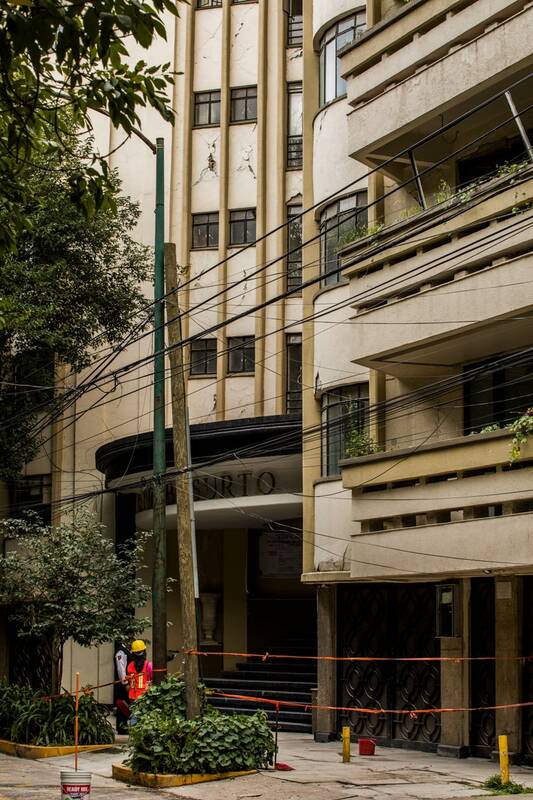 While many structures throughout the city, including historical buildings, remain damaged and vacant, two Art Deco treasures—Edificio Basurto and El Moro—are already on the road to recovery. 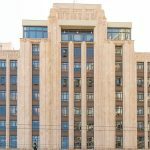 For residents of the city of nearly nine million, the renovation of these iconic buildings symbolizes the healing process. Many of the city’s most recognized buildings, including both of these Art Deco examples, were constructed during a golden period from the 1930s to the 1940s that drew influence from the geometric shapes, clean lines, patterns, and finely detailed finishes of the French-born movement. 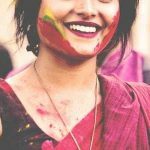 This moment of rebirth is a chance to return both buildings to their original glory, much of which had been chipped away by insensitive updates over the decades even before the earthquake struck. Architects and planners are scouring historic photographs and records in an effort to rebuild them. Edificio Basurto in Condesa remains closed off as the building is being re-constructed following last year’s earthquake in Mexico City. The restoration of Edificio Basurto is well underway. 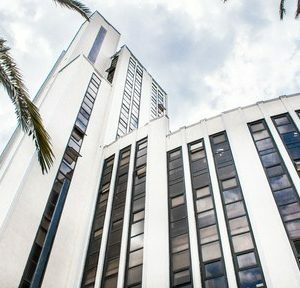 Having already survived two other major earthquakes (in 1957 and 1985), the iconic structure has been saved from near demolition time and time again due to its exemplary status in the Condesa neighborhood. The 14-story, Bauhaus-influenced apartment building was constructed by architect Francisco J. Serrano between 1941 and 1944 and features a helical stairwell and stepped-back balconies. Strikingly geometric in form, it has become a hub of the Art Deco-centric oasis where it is located and a familiar landmark featured in many Mexican and international films and telenovelas. 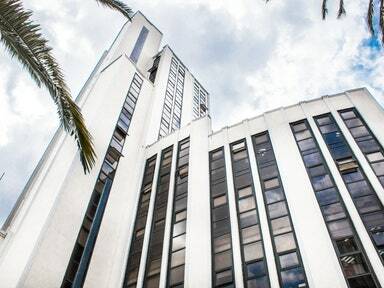 One of the Mexico City’s most iconic Art Deco buildings, Edificio Basurto in the Condesa district has been featured in numerous Mexican and international films. A construction firm was already in the process of repairing some damage the building had suffered during a minor earthquake in 2012 when the 2017 quake struck. One of the most significant issues facing buildings in this and adjacent neighborhoods is that they are built atop a dry lake bed that provides unstable footing when tremors strike. Indeed, multiple buildings fell in Condesa on September 19, killing dozens of people.